The Bank of America offers a full range of banking, investing, and financial services. There are many internship opportunities available with the firm. 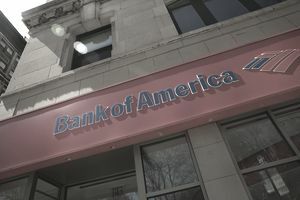 Bank of America's Student Leaders Program is part of the company’s broader Neighborhood Excellence Initiative®, which is their signature philanthropic program. The program offers an eight-week internship experience where students will work at a nonprofit/charitable organization. As part of the Student Leaders Program, students will attend a Student Leadership Summer in Washington, DC, for one week in July to gain valuable leadership skills to help them get the most out of the program. All expenses are paid for the Leadership Summit since it is included as a strong foundation for the Student Leaders Program. Bank of America’s corporate philanthropy helps to promote building healthy communities by creating strong leaders and by helping to develop stronger communities. Through philanthropic management, individuals can search via foundations, program types, and areas to come up with a list of grants they can apply to. The grant programs were established as a philanthropic endeavor to help build strong neighborhoods and to train young people in becoming leaders with an interest in partnering with national organizations to help build stronger and healthier communities. The grant programs focus on education, community development, neighborhood preservation, art, and culture, as well as health and human services. Students will get the chance to work alongside local community leaders to identify economic and social priorities and address critical neighborhood needs. The Student Leaders Program offers participants an opportunity to improve communities, learning about ways to become leaders and make a difference to those in need who are less fortunate and can use the assistance to help them create a better life for themselves and their neighbors. The program is open to U.S. high school juniors and seniors and high school students in the UK. There is a lot of information available on the website about the Student Leaders Program and what students have accomplished in the past. Hearing about past student experiences can provide additional information on the important impact that these programs can provide. Students can apply for positions in the U.S. or the United Kingdom. Student applications and the application deadline for the Neighborhood Excellence Initiative Student Leaders awards can be viewed online. Bank of America's Matching Gifts, Volunteer Grants, and Joe Martin Scholarships offer students an opportunities to gain valuable knowledge working for America's largest bank.